For most of the world, twitch is another way of saying convulsion. For fans of “streamers,” a mix of entertainers and professionals who play video games for a wide audience, it’s a way of life. Consider the numbers: In 2017, Twitch.tv users clocked more than 355 million minutes watching 2 million streamers, most of whom livestream video games. And it's making those streamers into millionaires. as it sounds. But Kan and co-founder Emmett Shear inadvertently built a video platform that made it easy for anyone to stream content, live, to an interactive audience with its own chat room. Once Shear introduced a focus on gaming, Justin.tv exploded in popularity. A lifelong gamer, Shear understood the value of a site where people could interact with high-level players. With its launch in 2011, Twitch.tv fed what turned out to be an insatiable hunger. Fans of, say, League of Legends, PlayerUnknown’s Battlegrounds or Fortnite became addicted to the unique interplay, eagerly booing or cheering gamers, or simply hanging out in chat. Video game creators were benefiting as well: For the first time, they could make money from sharing their creations directly with fans, who were happy to trade feedback for the virtual community Twitch provided. Between 2011 and 2012, the site went from 3.5 million to 20 million monthly unique visitors, and it has grown exponentially to hundreds of millions. “Twitch took the seed of Justin.tv and blew it up,” says Shear. It became a one-of-a-kind live streaming platform, which led Amazon to pay $970 million for it in August 2014. Twitch has traditional subscription fees and advertising, but also monetizes its trademark interactivity. Fans purchase Twitch Bits to spend on things like custom chat room emoji or to have a streamer read a personal message during a live broadcast. Fans can even donate directly to a streamer with no strings attached. “[Streamers] of course need to make money, but most want fame,” says Shear. And Twitch has its superstars. One of the most popular, Ninja, pulled in more than 600,000 viewers in one session while playing Fortnite with Drake, Travis Scott and Pittsburgh Steelers wide receiver JuJu Smith-Schuster. Ninja told CNBC in March that he is making “at least six figures” a month. 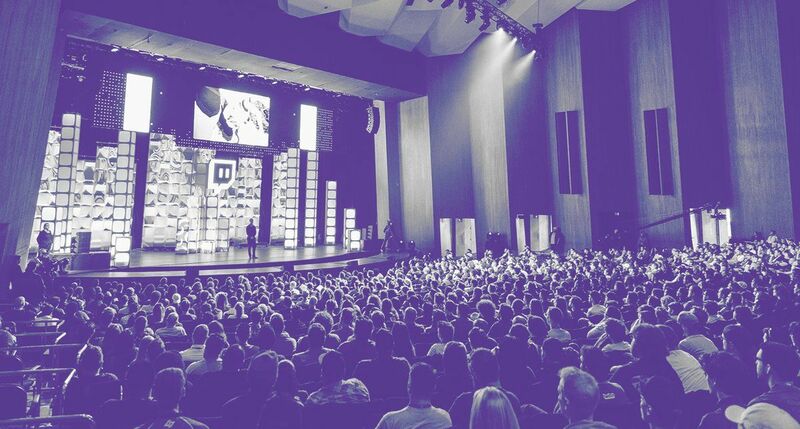 Twitch recently added other categories, including IRL (in real life), dedicated to streamers documenting everything from walking their dog to lifting weights at the gym. But Shear sees the platform extending well beyond gamers. “We want everyone with ambition to come to Twitch,” he says.